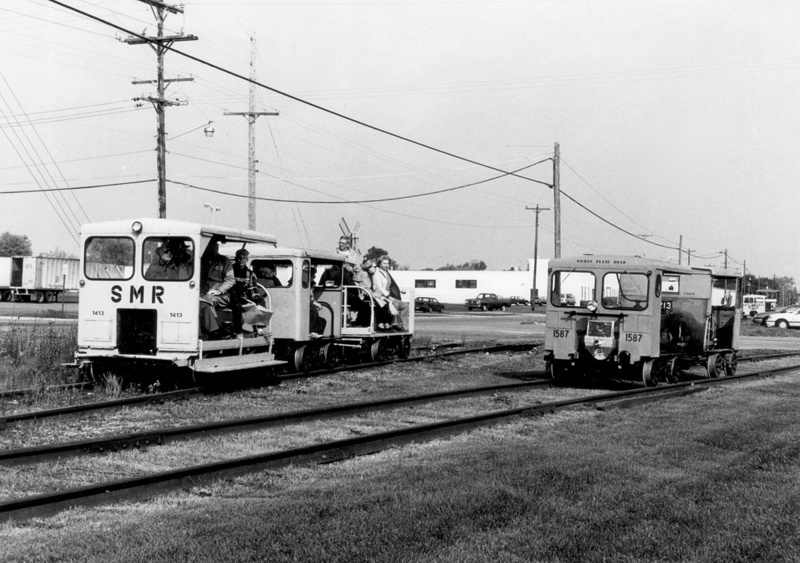 An SMRS fall color train lays over at Raisin Center, MI on 13 October 1985, the first year of the color tours. 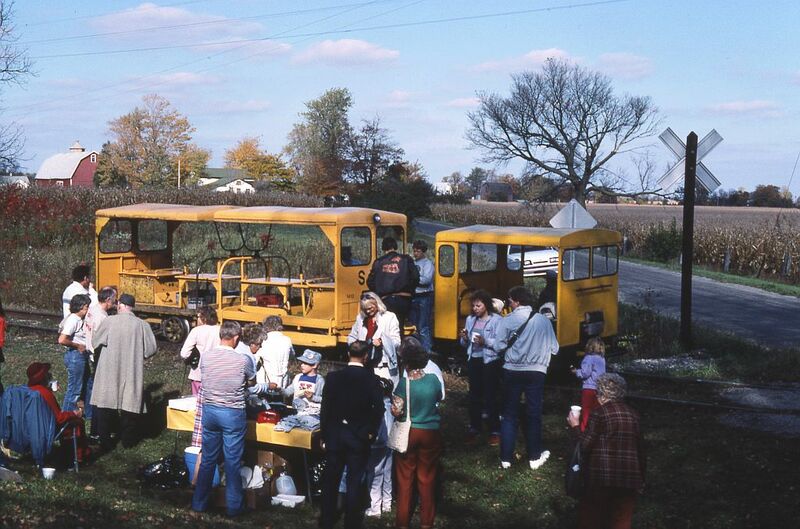 Passengers are sampling cider and donuts, while the crew prepares the motor cars for the return trip. 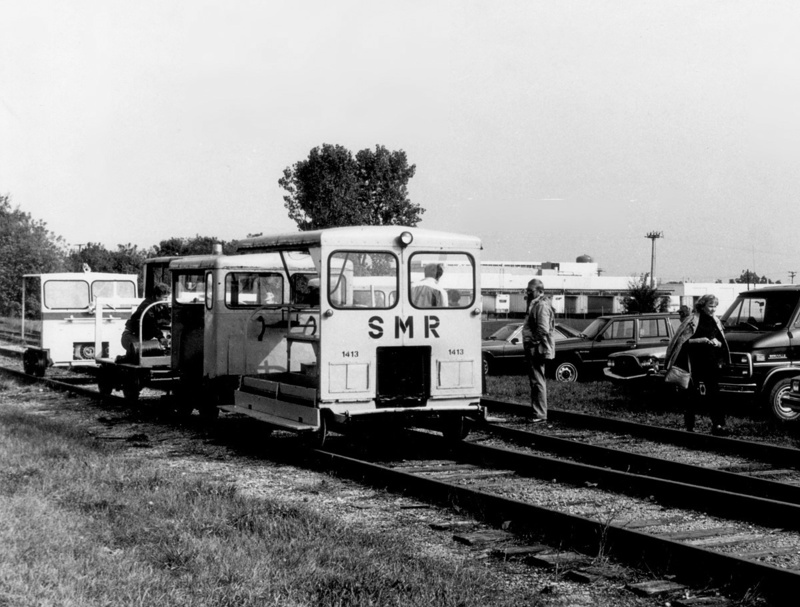 The motor car on the left is an A-5 belonging to Bruce Haddow, the center car is A-5 #1413, belonging to the SMRS, and the car on the right is a former-Pere Marquette MT-14 belonging to a member from Jasper, MI.